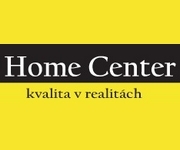 Reservation of accommodation in Komárno & Komárom. 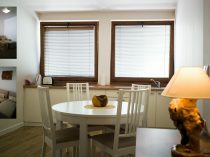 Hotels-Komarno.com – A7 Apartments *** offers accommodation in Komárno. Rooms come with a flat-screen TV. Some units feature a seating area for your convenience. You will find a kettle in the room. Rooms are fitted with a private bathroom equipped with a bath or shower. Superior rooms have a spa bath or a hot tub. A TV with cable channels is featured. The area is popular for cycling and hiking. Courtyard of Europe is 300 metres from A7 Apartments, while Fortress of Komarno is 900 metres away. Thermal pool Komárno 600 metres, the nearest airport is M R Stefanik Airport, 83 km from the property. Secure parking for bicycles, motorcycles. Public parking for cars, distance from 70 to 150 meters from the A7 Apartments. Komárno (Hungarian: Komárom, colloquially Révkomárom, Öregkomárom, Észak-Komárom, German: Komorn, Serbian: Komoran/Коморан) is a town in Slovakia at the confluence of the Danube and the Váh rivers. Komárno was formed from part of a historical town in Hungary situated on both banks of the Danube. Following World War I and the Treaty of Trianon, the border of the newly created Czechoslovakia cut the historical, unified town in half, creating two new towns. The smaller part, based on the former suburb of Újszőny, is in present-day Hungary as Komárom (the historical Hungarian town had the same name). Komárno and Komárom are connected by the Elisabeth Bridge, which used to be a border crossing between Slovakia and Hungary until border checks were lifted due to the Schengen Area rules. Komárno is Slovakia’s principal port on the Danube. It is also the center of the Hungarian community in Slovakia, which makes up roughly 60% of the town’s population. The town is the historic seat of the Serbian national minority in Slovakia. One disputed record of the name of the settlement can be dated back to 1075 as Camarum. Further documents mention the settlement as Kamarn(iensis) / Komarn(iense) (1218), Kamarum (1266), Camarum (1268), Kamar (1283) and many other, e.g. Camaron, Comaron (between 1372–1498). Villa Camarun was one of the 23 settlements belonging to the domain of the Komárom castle.